The State Council of Educational Research and Training (SCERT) Assam had invited Applications through the notification provided on the official website and successfully completed the process of filling applications for the post of GRADE IV, LABORATORY ASSISTANT, LDA (H.Q. ), LDA, STENOGRAPHER (GRADE III) , STATISTICAL ASSISTANT, LIBRARIAN, LIBRARIAN(H.Q. ), DEMONSTRATOR, WORK EXPERIENCE TEACHER, TECHNICIAN, HINDI TYPIST, SCIENCE GRADUATE INSTRUCTOR, GRADUATE INSTRUCTOR(ARTS), CRAFT INSTRUCTOR , NORMAL INSTRUCTOR, ASSISTANT TEACHER, MANUAL INSTRUCTOR, PHYSICAL INSTRUCTOR, MUSIC TEACHER, HINDI TEACHER, ALSSGD-A(NORMAL SCHOOL), DRAWING INSTRUCTOR, PRINCIPAL, HYGIENE & DIETETIC TEACHER, PSYCHOLOGY TEACHER, PRE-PRIMARY GRADUATE TEACHER(ARTS & SCIENCE), GRADUATE INSTRUCTOR LANGUAGE GRADUATE INSTRUCTOR LANGUAGE and many other posts. As per our resources, the latest news is that SCERT has released Online Admit Cards for the posts for exam . Those candidates who have applied for the post and waiting for the online admit cards can download their admit card on the direct link provided in the end of the post. 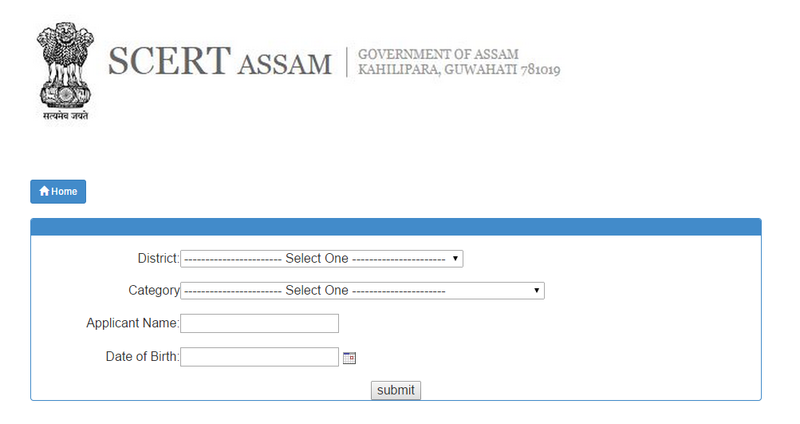 · Select Name of District from the drop down list provided on the Admit Card Page. · Select Name of Category from the drop down list provided on the Admit Card Page. · Enter Application No. as it was mentioned when applied for the posts. · Enter Date of Birth. Follow the same steps which are discussed above in How to download Admit Cards Call Letters to download Hall Tickets for Exam. · Affix colour photograph of same image as provided in the ONLINE printed Admit Card to the provided space. Do a cross signature on the pasted colored photograph pasted by the candidate. · Candidates can download their admit cards any time on the official website direct link provided below. · Ensure that candidate must have Admit Cards of examination along with Original ID and a photocopy of the Original ID. · Reach the Venue at least 15-30 minute before the time mentioned in the computer generated admit card. · Check for the list of sitting plan according to the name of candidate and roll no. appeared in the admit card. · Search for your name and roll no. · Note down Lab No., Floor and Computer no. of the back side of the Admit Card page. · Computer Generated Admit Card, Original ID and Photocopy of original ID will be checked twice by the Personnel/Officers. · Reach to Exam Room and ensure the sitting plan on the sheet pasted outside the Exam room. · Mark the signature on the Attendance sheet and sit on the designated computer to your Roll No.